Dr. O'Connor resides in St. Louis, Missouri with his wife, Diane. 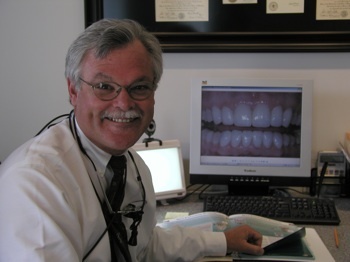 He has practiced General Dentistry at this location for over 40 years. He graduated from St. Louis University High School in 1970. He holds Chemistry and Psychology Degrees from the University of Missouri and is a member of Phi Kappa Psi fraternity. He has a Bachelor of Arts Degree and a Bachelor of Science Degree from the University of Missouri. 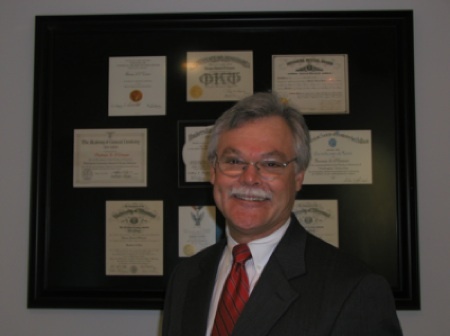 He received his Doctor of Dental Medicine Degree from Washington University with awards from the Academy of General Dentistry, the Academy of Dentistry for Children, and the faculty of the Operative Dentistry Department of Washington University. He was awarded his Eagle Scout badge in 1966. In addition to being an enthusiastic scuba diver since 1980, he enjoys cave diving and has explored Missouri's most challenging cave systems. He was co-founder of the Ozark Cave Diving Alliance. He enjoys playing the bass guitar with his band "Flawless Musical Support" and also has performed theatre with his friends in K.T.K. and Take Two Productions for many seasons. Dr. O'Connor's wife, Diane, is a graduate of Jewish Hospital School of Nursing and had worked in the Operating Room for 20 years before her new founded career at 5343 Loughborough Ave. as Office Manager and Surgical Director.